Upline Moving makes moving a hassle-free affair, and we go out of our way to earn 100% customer satisfaction on every job! Tech companies, historic architecture, and California’s Great America amusement park are some of what you’ll find in the city of Santa Clara. If you’re planning a move from this center of Silicon Valley, the movers at Upline Moving can ensure you enjoy a hassle-free relocation. A lot of people think a DIY local move is a smart idea—and they usually change their mind after hauling the first few boxes. Don’t try to be a hero—let the experienced team at Upline Moving do the heavy lifting for your local move. 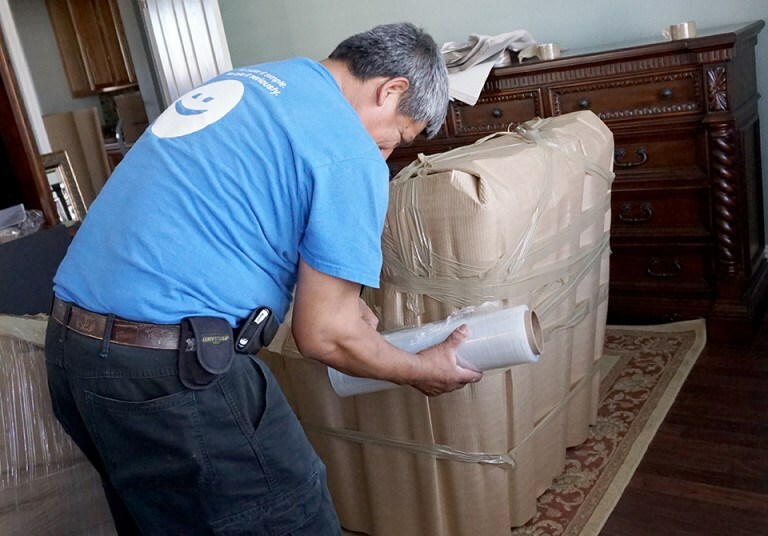 Our residential movers have the skills and experience they need to get the job done right, and they are carefully screened before we send them to your home. Many details must be carefully coordinated in order to complete a long distance relocation, so it’s a good idea to leave the process to the professionals. We move more than 81,000 miles a year, and our goal is always to leave satisfied customers in our moving truck’s rearview mirrors. Our residential movers and packing specialists arrive on time and treat your belongings as if they were their own—which is why we have one of the lowest damage rates in the industry. Enjoy a stress-free move with the team from Upline Moving. There are many reasons you may not have a lot of time to plan your move. Whatever the reason, you can count on Upline Moving to help with our expedited moving services. We’ll ensure your deadlines are met and that your last-minute move goes off without a hitch. We understand how stressful this kind of move can be, but there is no need to panic with Upline Moving on the job! It’s common to need to store some items after your move, and we offer a rare benefit: 30 days of free storage. That time can be extended for a long-distance move. Your items will be safe in our secure facility where we store everything from furniture to fine art. Whether you need to store some things for a few days, a few months, or even longer, Upline Moving has you covered. Our family-owned business isn’t like other moving companies. When we see something that can be done better, we do it. Our fixed-rate pricing, handpicked Bay Area movers, and comprehensive services make us the smart choice for your next Santa Clara move. Call Upline Moving today to learn more, or fill out our online form now to request a free, no-obligation moving quote.